Stardom's Mayu Iwatani is set to make her return to Ring of Honor next month. 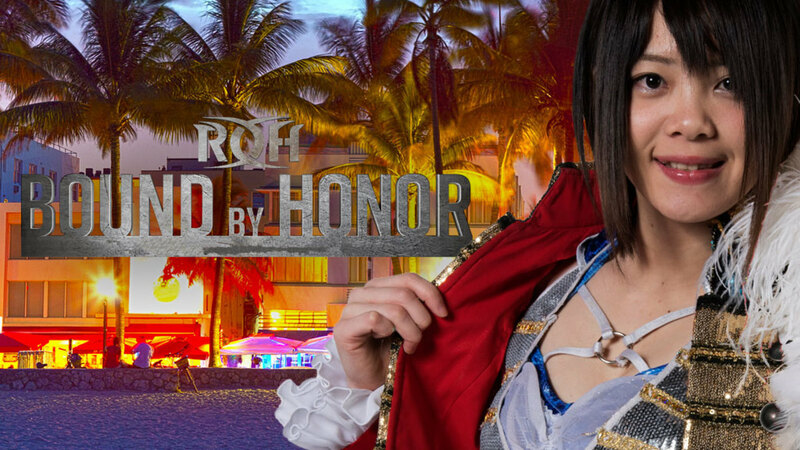 ROH has announced Iwatani for their Bound By Honor weekend in Florida this February. She'll be appearing at ROH's television tapings in Lakeland on Saturday, February 9 and their HonorClub show in Miami on Sunday, February 10. Opponents for Iwatani have yet to be revealed. Iwatani, who is one of the top wrestlers in Stardom, appeared at ROH's Best in the World pay-per-view last June. She teamed with Tenille Dashwood, Sumie Sakai & Jenny Rose to defeat Kagetsu, Hana Kimura, Hazuki & Kelly Klein. She also took part in a set of TV tapings after the PPV, with Kagetsu & Kimura defeating Iwatani & Rose. Iwatani made it to the semifinals of the tournament to crown the inaugural Women of Honor Champion last April before losing to Klein. Sakai won the title in the tournament, but Klein is the current WOH World Champion after defeating Sakai, Madison Rayne, and Karen Q in a four corner survival match at Final Battle 2018. Earlier this month, Dave Meltzer reported that All Elite Wrestling had contacted Iwatani but noted that it was unlikely that she would be coming in to AEW: "Women wrestlers from Stardom and other promotions have been contacted. One of the key ones was Mayu Iwatani, who is unlikely to come. ROH, which also has an affiliation with Stardom, paid for Iwatani’s three-year U.S. visa so unless ROH and AEW make a deal, which will be difficult because they are competitors, Stardom feels it would be wrong to have her work against ROH, which also has booked Iwatani for its Madison Square Garden show."